Stunning Family Home in a Convienient Location with Views! Bowmaker Realty are excited to bring ‘72 Palmerston Street, North Lakes’ to the Sales Market! Only 3yrs old and boasting 4 generous bedrooms, 2 living zones which includes an open plan kitchen, dining and family room that overlooks the spacious backyard, plus 2 bathrooms and a powder room, double garage, air-conditioning, ceiling fans and side access! 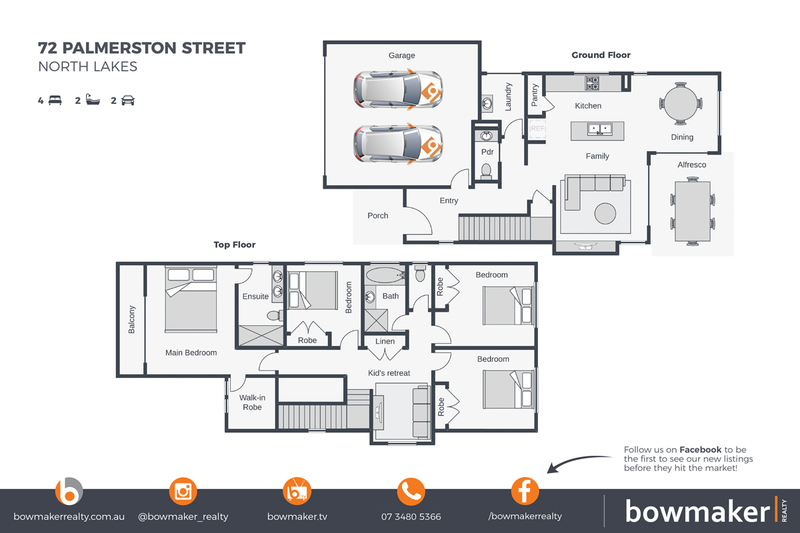 A comprehensive list of special features, inclusions and details for this property can be found online at www.72palmerstonstreet.com! To arrange an inspection, contact Paula on 0430 453 676 from Bowmaker Realty, North Lakes, leading property marketing agency, today!